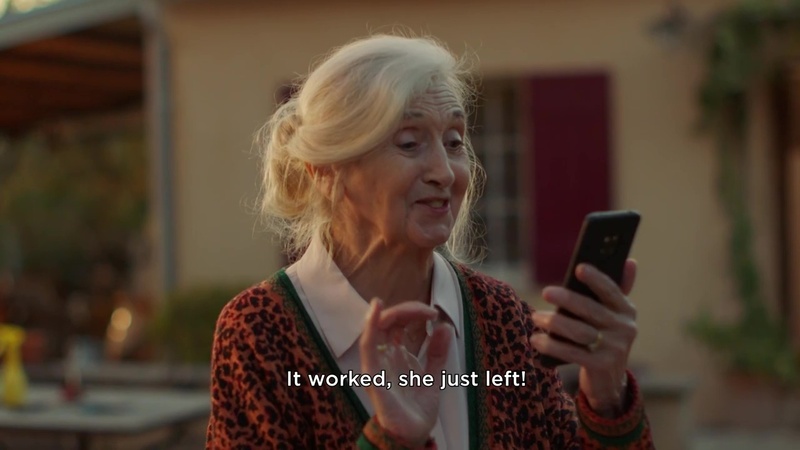 In this film directed by Emma Luchini of Stink for agency BETC Paris, a scheming but loving grandmother who lives in the French countryside feigns poor phone reception during a call to get her city-dwelling granddaughter to visit. The granddaughter clearly isn’t aware that grandma actually has great phone service as Bouygues Telecom has spent the past three years investing in rural areas and today connects 64 million people all over France. Titled "Mamita," the spot builds on Bouygues Telecom ongoing family values campaign, showing how the brand helps people from different generations connect to each other. The film is set to Elvis Costello’s take on Charles Aznavour’s song “She," also known from the soundtrack of Notting Hill. Client Bouygues Telecom Agency BETC Paris Stephane Xiberras, executive creative director; David Soussan, Marie-Eve Schoettl, creative directors; Remi Campet, copywriter; Rayhaan Khodabux, art director; Christophe Caurret, music creative director; Sebastien Lintingre, creative producer. Production Stink Emma Luchini, director; Greg Panteix, producer. Sound General POP Music Music Track: "She"